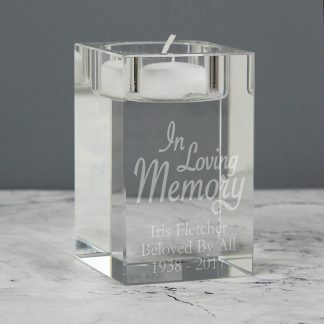 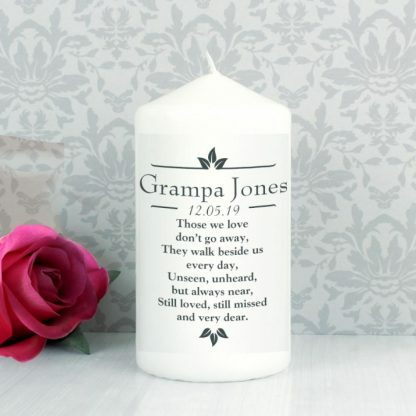 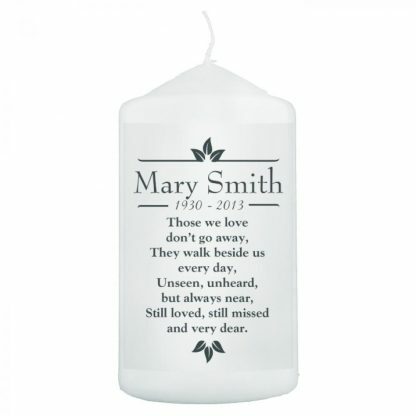 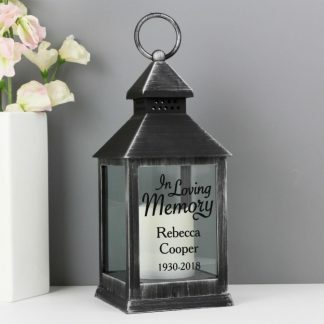 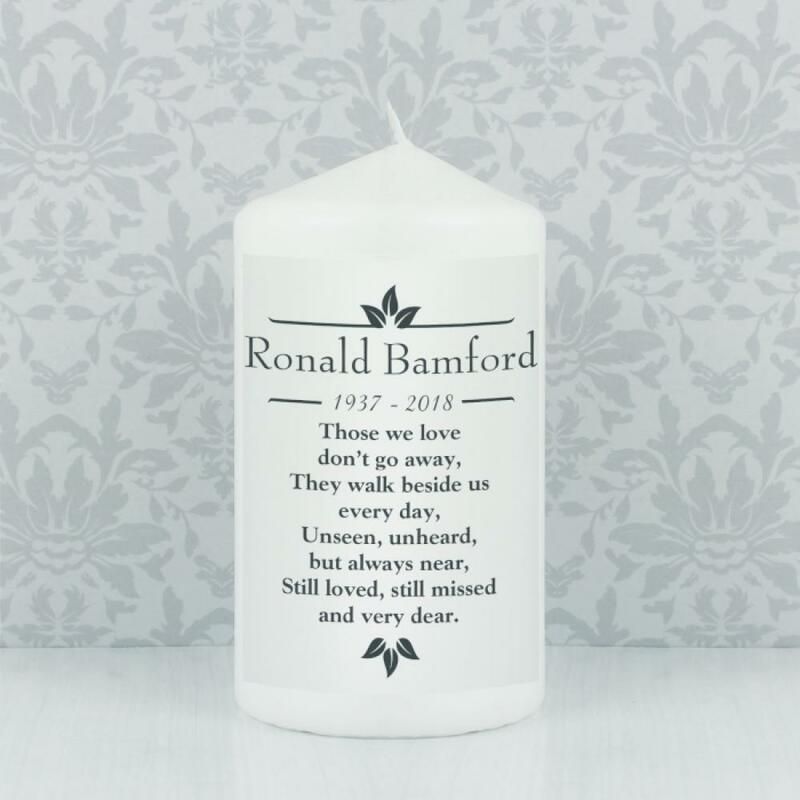 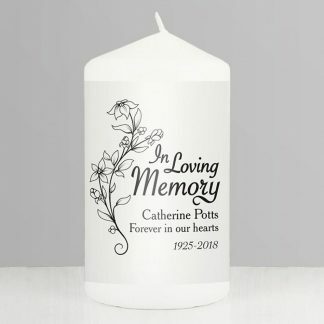 Our Personalised Sentiments 'Those We Love' Pillar Candle is an ideal way to honour the memory of a loved one. 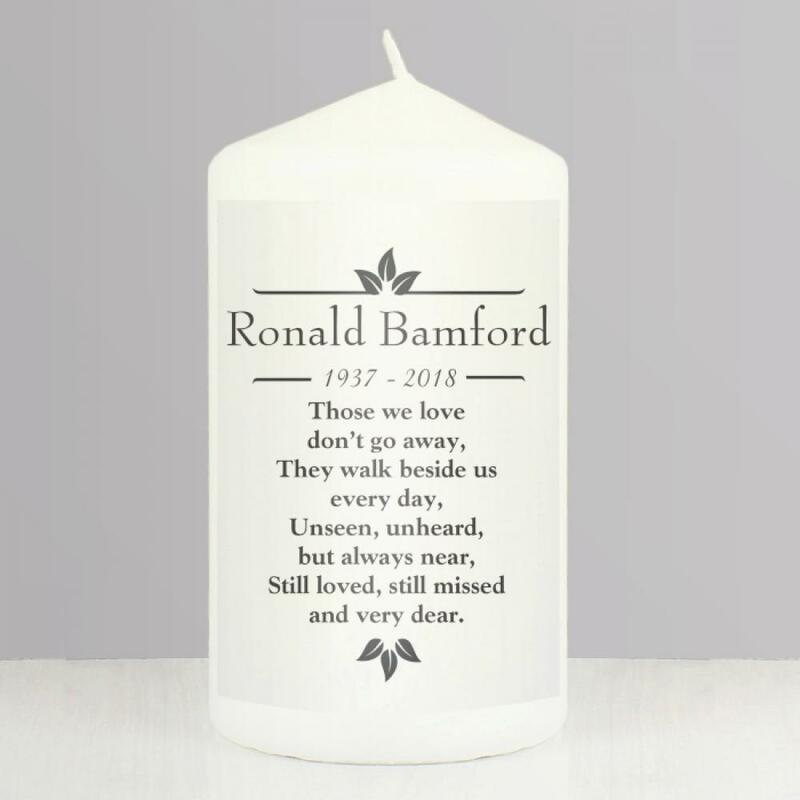 The words 'Those we love don't go away, They walk beside us every day, Unseen, unheard, but always near, Still loved, still missed and very dear' are fixed text and part of the design. 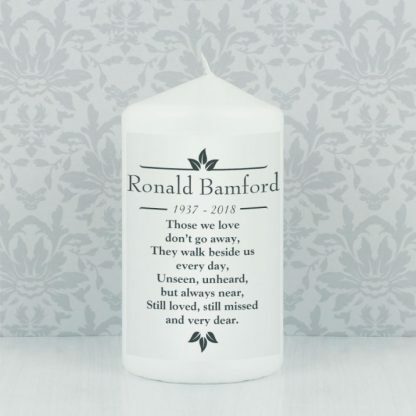 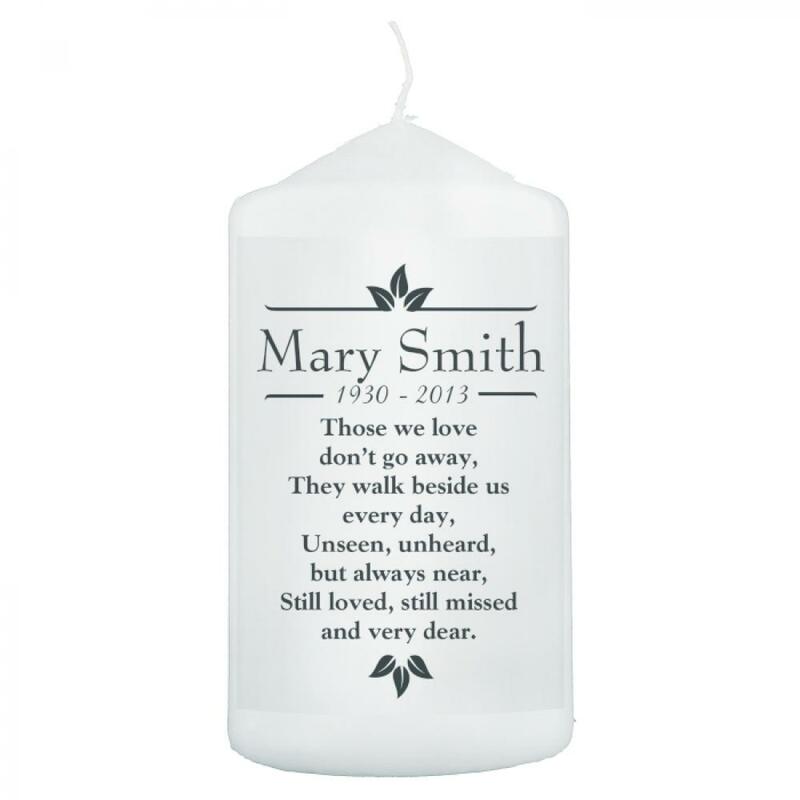 You can personalise the candle with a message over 2 lines. 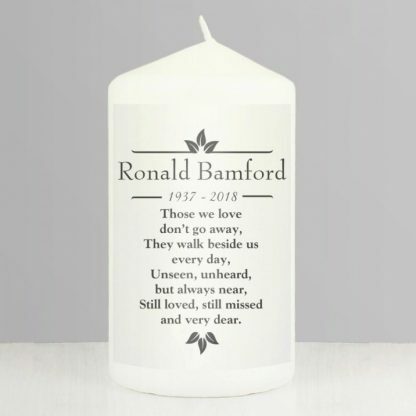 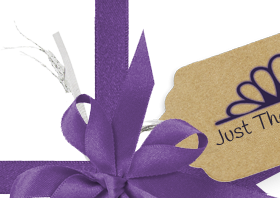 All personalisation will appear as entered, however please refrain from using emoji’s, characters, accents and special symbols will not appear on your personalisation, as the process does not allow for these.